Meghalaya Chief Minister Conrad K Sangma said that the government is committed to enhance sporting infrastructure in the State in preparation for the upcoming National Games 2022 in Shillong as well as Tura, the co-host city. He informed that new stadiums, games village and other necessary infrastructure will be created to host the event. “Taking advantage of the National Games we are going to ensure that all necessary sporting facilities are created in Meghalaya which will enable promotion of various games,” he added. He said that adequate support would be provided for development and promotion of sports in the State as per the mandate of the youth and sports policy. “Meghalaya has rich potential for promotion of sports and we would ensure that the talents are harnessed to its maximum for the advantage of the youth,” he added. “It is impressive to witness such an event in Tura. The organizers have displayed their utmost dedication to promote professional football by managing to conduct the events with limited infrastructure,” he said. 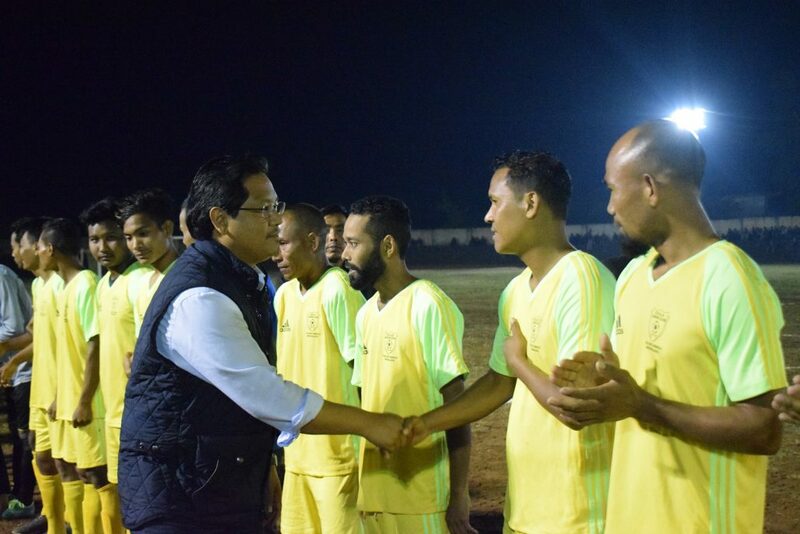 Sports Minister Banteidor Lyngdoh said in a written message which was read out stated that the event will help foster an atmosphere of healthy competition and will bring to fore new talents in the field of football. He also informed that through football the athletes can become brand ambassadors of Meghalaya. Boca Juniors FC won the super division by defeating Druma Sandruma SC with 1-0 goal. The tournament began in November with matches being played in three levels – Division B, Division A and Super Division. The winner of Division B was Rongkhon Sports Association while winner of Division A was West Balalgre Club. 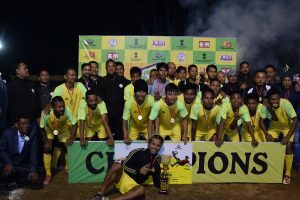 “We face challenge and difficulty in organizing such mega events in Tura but with sheer cooperation and support from the Sports department and participating clubs, we have managed to host the event successfully for the past six years,” said Jasper P. Marak, president of District Football Association, Tura. Over 5000 crowd witnessed the event. The cash prize and trophies were distributed by co-chairman of Meghalaya Planning Board, Billikid A Sangma and other dignitaries and officials of DFA.